I think we underestimate the power and need for us to be comfortable with ourselves. It not only benefits us, but it will also help us be better for those around us. This quote above explains it superbly. I don’t know how many times I have found myself trying to concoct a relationship purely on the basis of loneliness and searching for happiness in someone else. I never realized that I was actually trying to make them an escape from myself. The less selfish and more solid foundation for a relationship would be one built on us already loving and being comfortable with ourselves first. This would allow us to give and not just take. I have always heard we must give in order to receive. Now don’t get me wrong, this isn’t taking away the job that we all have in being a support system to those we care for or that need us. What I’m saying here and/or warning against is the act of us basing our happiness in others. Because a good portion of the time we will be left disappointed by the unmet expectations that we have put in those around us. Being dependent on others for happiness makes us much more vulnerable and likely to be hurt. Instead, let’s all try to be healthy and strong first that way we can give love first and receive it back as by product of what we gave. I saw this last night and had to share it. This is such an empowering way to look at the trails and pain that we go through. Having this train of thought allows us to tap into one of the most powerful sources of strength that we have access to…HOPE. Hope in my opinion is one of the most important tools that we have to turn our dreams and aspirations into reality. Our dreams are the seed and hope is the water. I know what hope has allowed me to accomplish to this point, and I plan on fueling my tank with it’s bottomless reservoir till the end. So next time you feel the weight of your struggles pulling at you, stay hopeful that it will soon release you and send you flying towards greatness. This caught me off guard when I saw this today. It was one of those ah ha moments. I was like you know what, you’re right Mr. Picture full of wisdom. It’s a beautiful illustration of the highs and lows that we each go through. Without them what is there? This definitely doesn’t mean ACT without disregard to possible dangers and repercussions. 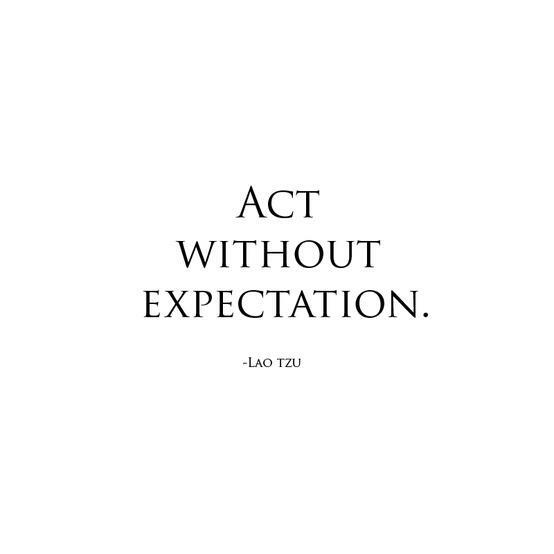 I believe it’s telling us to ACT in such a way that we are not looking for something in return or expecting a predetermined result from our actions. We set ourselves up for disappointment if we do otherwise. Take our relationships and interactions with people for an example. In some instances if you really examine where some of our problems start we’ll see it starts with us and our unspoken EXPECTATIONS. For instance, let’s say you do something for someone, whatever it may be, and they don’t react or reciprocate in the way you expected, you now feel hurt, disappointed, shorted or angry. This is all happening while the recipient has no idea of your preconceived EXPECTATIONS for them. 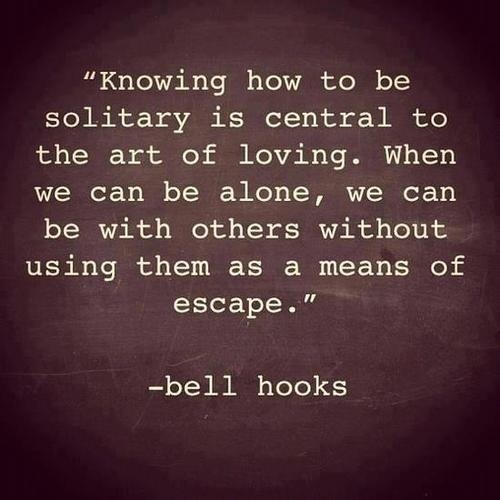 It’s taken me sometime to understand this principle, let alone practice it. I hope you take the time to read this because I believe you too will be empowered by it. There are times when I find myself just plan dang miserably angry at a person, a situation or just life in general. Then I pause and ask myself am I really changing anything by being this way? I’m serious, think about it for a second. As you sit there just full of anger and sourness, whatever it is you are mad at feels none of that and may be right as rain. You literally are drinking poison and thinking the other person or situation will be effected by it. Your emotions have no direct impact on either, so on top of the anger you are feeling….you are adding this toxic element also. I’ll give you a personal example that just happened to me last night. I was angry at the way a girl had been treating me, so I was stewing over it sleeplessly in my bed. Once I became aware of what I was doing I asked myself is my current state even effecting the person I’m angry at or am I just reaping it’s horrible effects And that’s when I decided not to let them nor anger, hurt or control me. 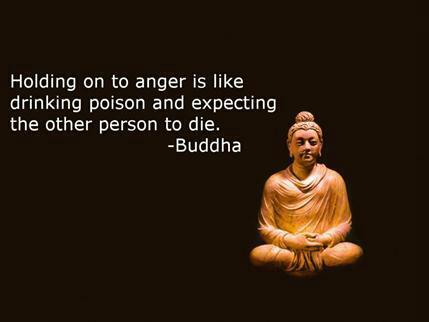 So either let your anger be known or just let it go all together because it is a poison that is hurting and effecting you more than you know, GET IT OUT….LET IT GO. I try to live by another motto also, “If you can’t control it, don’t let it control you”.